In 1962 Nelson Mandela was arrested and convicted of sabotage and other charges, and sentenced to life in prison. Mandela served 27 years in prison, spending many of these years on Robben Island. Following his release from prison on 11 February 1990, Mandela led his party in the negotiations that led to multi-racial democracy in 1994. As president from 1994 to 1999, he frequently gave priority to reconciliation. 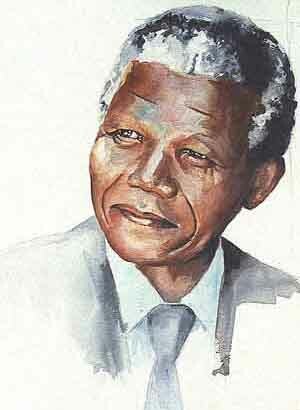 In South Africa, Mandela is often known as Madiba, an honorary title adopted by elders of Mandela's clan. Mandela has received more than 250 awards over four decades, including the 1993 Nobel Peace Prize.